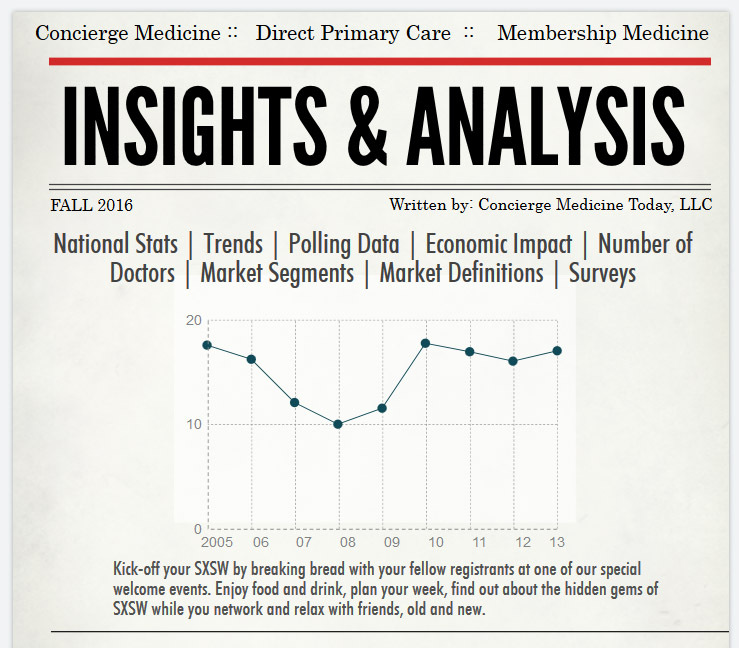 ANALYSIS + REFLECTION | What Other Service Industries With a “Concierge” Have Influenced “Concierge” Medicine? Introduction: To say a patient is a customer is like putting butter in your grits! It’s just not right. Or is it? Why we’re Losing Human to Human Conversations at a Rapid Rate and its impact on innovation in healthcare. These services normally encompass assistance in hotels, apartments, and office buildings for personal services. Why Kindness, Respect, Availability and Exceptional Customer Service In Healthcare Will Never Get Old. Present Day: Where is a “Concierge” service offering or form thereof in healthcare operate and how will it be implemented or used in 2019? Concierge Medicine and High-Touch Healthcare Business Models. In a category all its own “concierge medicine” is something every Doctor can all aspire to provide. What is it to you? Is it a Noun? Or, is it a Verb. I’ll let you decide. Where are great Doctors finding new ideas and learning to innovate? Hint: In some of the most unusual places! NOTE: The business of “concierge” service outside of healthcare is remarkable and quite large. It is no wonder that healthcare is still in a learning phase with all that this industry has to offer to people across the globe. In fact, IBIS World wrote in their August 2018 Business Concierge Services Industry in the US: Industry Market Research Report that Concierge-level service is becoming more popular among small business start-ups. IBIS World stated in their report (Note, This figure Does NOT Include Concierge Healthcare] that the “concierge” [service] industry is worth more than $297 million in annual revenue each year. 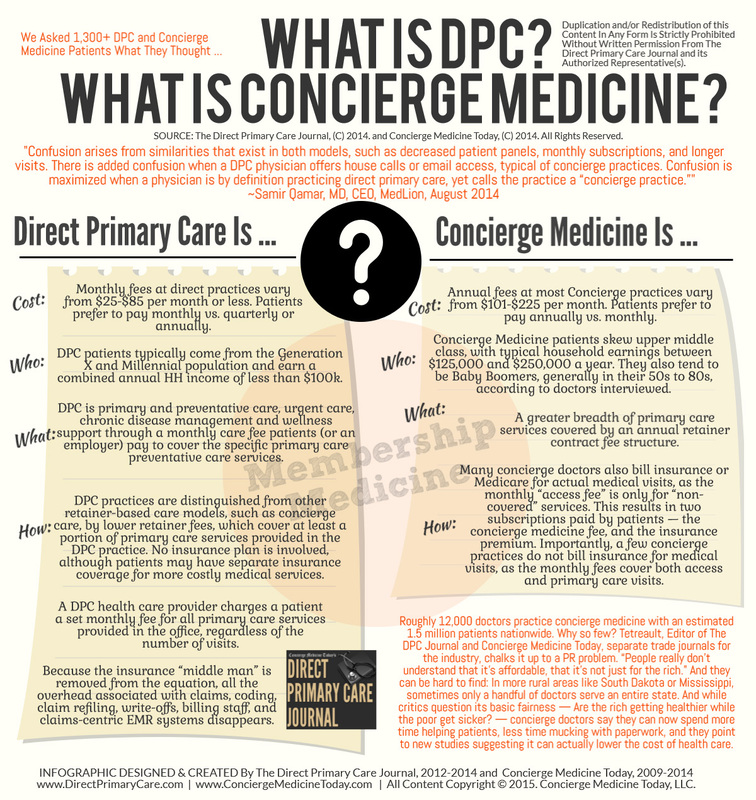 We should also mention that the reports and other educational articles referenced and cited below, do not include Concierge Medicine in their “concierge” definition(s). 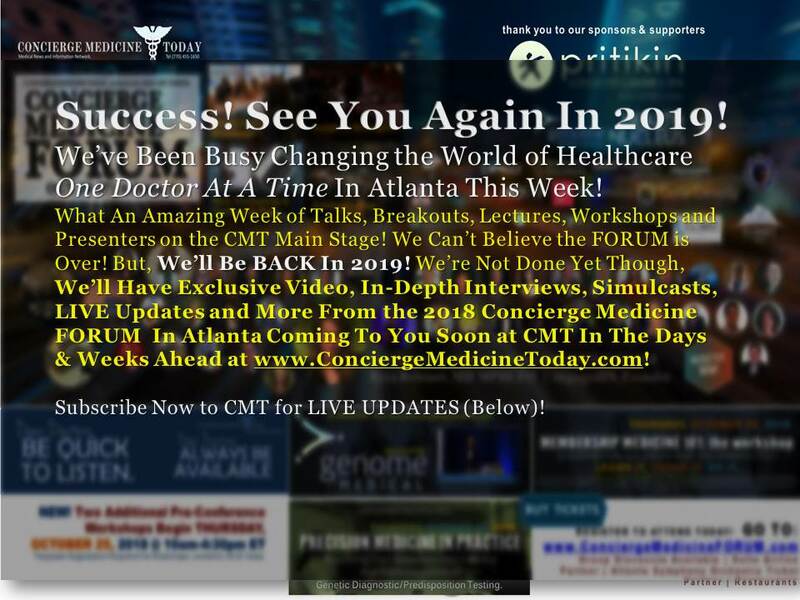 For the purposes of this educational article by Concierge Medicine Today (CMT), the Editor’s at CMT have separated the unique healthcare offerings under the services we entitled Concierge Medicine and High-Touch, Membership Medicine marketplace to show how the business and service lines of outside “concierge” industries have influenced innovators in healthcare and are currently being implemented and used in the healthcare marketplace today. My first job, therein, my first boss — when I was working in college now twenty years ago (whom by the way he is actually the newly elected Mayor of a great city in Tennessee) told to me something I have never forgotten. So, dove tailing into this topic about kindness in business, what about kindness, respect for another persons schedule, finances and the like but applied in healthcare? What does it look like and where does it exist? How is it being implemented and where are fresh new and innovative ideas for healthcare coming from? We all know the gradual decline of great or even satisfactory customer service over the years has created a big opportunity for businesses. 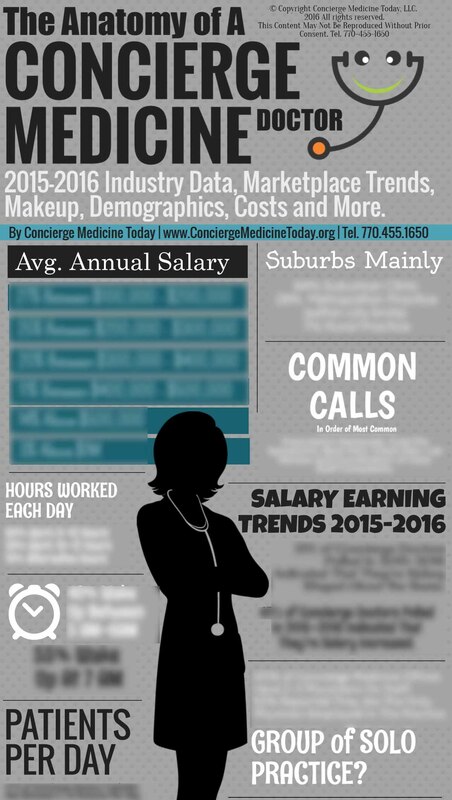 It’s one of the reasons why Concierge Medicine is so popular to so many people. It’s been imitated and replicated in hospitals, urgent care environments, direct care programs and many others. Even more, when was the last time a Doctor or a medical practice staff or team member made an emotional connection with your customer. Whoah! Wait just a minute! Did I just say customer?! 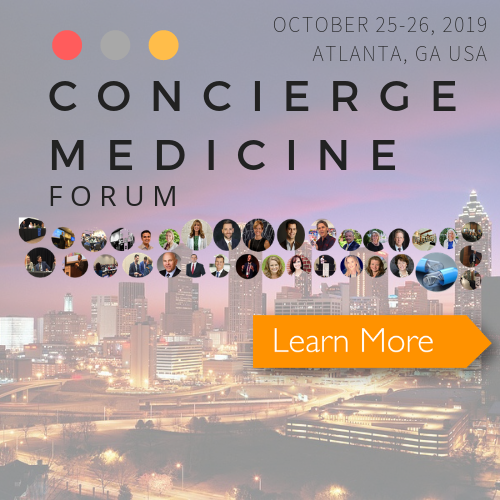 ATLANTA, GA – 2018 Concierge Medicine FORUM brings precision medicine and concierge medicine together. That’s just not right some would argue, and believe me, plenty still do. To say a patient is a customer is like putting butter in your grits! It’s just not right. But when was the last time a Doctor’s office thought about brand loyalty? Very few do because of the healthcare marketplace we are all familiar with. When was the last time the Physician CEO/owner or operator of a small medical office sat down with his or her team and strategically designed and cultivated an office culture that the customer (e.g. Patient) actually wants to visit? 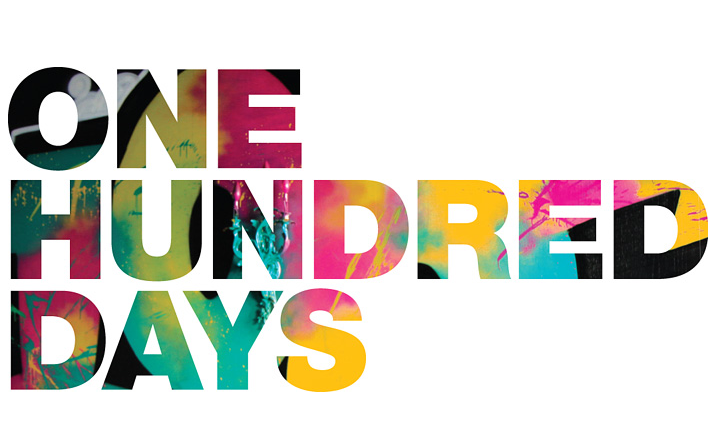 You and I both know it rarely happens. But, I can tell you that sometimes it does. It happens in this odd place in healthcare called Concierge Medicine. To some, this is a career lifeline. To some who misunderstand its culture, its purpose and vision, it’s a cuss word. In the paragraphs ahead of you today, I want us to start thinking differently and act intentionally. I want more Doctor’s leaning into their entrepreneurial gifts and begin examining their own vision for unique customer experiences and start identifying service pitfalls in their practice that must be eliminated in order to establish a high-performing, high-touch, precision medical practice that puts the Doctor and the customer together. EP. 204 | Download | Exclusive Interview| Employed Vs. Independent Doctors: Which Path Is Right For You? I will do my best to share the most frequent types of today’s concierges that we’ve encountered. The article outlines four principles that guide Stanford Medicine‘s approach to teaching bedside manner and describes a Stanford pilot program for an assessment that’s modeled on the Membership of the Royal College of Physicians (MRCP) PACES examination, which is administered around the world. That one I actually learned from a Concierge Doctor years ago when I interviewed her and asked her “What advice do you have for your fellow Doctors?” What a great answer to that question. So how do we circle back around and apply this to healthcare? We all have a lot of questions. And sometimes, those questions come at the oddest moments. For example, my kids always ask me the strangest questions sometimes too! The connected world’s larger behavioral impact is more on how we interact with each other on a daily basis. A 2014 study—“The iPhone Effect: The Quality of In-Person Social Interactions in the Presence of Mobile Devices”—looked at the effects that phones have when people talk face-to-face. Observing 100 friendly couples having a 10-minute conversation while their phone was present, researchers noticed that the individuals still continued to fiddle with their phones. When those same couples conversed without a phone present, their conversations resulted in greater empathy. There are moments still today when we abandon technology and turn to our neighbor to ask a question. Why the Pineapple Became the Symbol of Hospitality: There’s serious history behind it. Conversational commerce refers to the intersection of chat bots and ecommerce, has become more viable over the last year due to advances in machine learning and artificial intelligence. Brands that engage with consumers via chat can now go well beyond canned and scripted dialogues, instead utilizing AI and natural language processing that simulates a conversation that gets richer over time. As the bot interacts with customers, it applies those cumulative interactions to improving the conversation, learning more about each customer with each new conversation. They go onto explain that Concierge services are becoming more popular among small business start-ups. These services normally encompass assistance in hotels, apartments, and office buildings for personal services. Concierges are used for messages, making arrangements, assisting with acquiring business services, housekeeping, and maintenance. 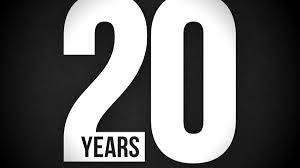 This industry is worth more than $297 million in annual revenue each year. Business and Non-Medical | What industry is a “concierge” service in? E.g. Concierge.com offers innovative guest management software* + a dynamic team of event and hospitality pros to create an exceptional, ‘frictionless’ experience for every guest. According to Google, this industry comprises establishments that provide concierge services for business executives, employees and individuals. Concierges provide a variety of services, including running errands, grocery and personal shopping, making travel and restaurant reservations, and home management. RESEARCH + TECHNOLOGY in HEALTHCARE | Results from [Rock Health] third national consumer survey (2017 data) on digital health adoption and sentiments. In an article published by Hospitality Technology in February of 2018, the stated “Three Ways Technology Will Transform Luxury Concierge in 2018” — For decades, the luxury concierge industry has been focused on very personal, high touch interactions, centered on delivering exceptional experiences. Because of this, technology has remained behind-the-scenes. Fortunately, times are changing. Driven by customer expectations for increased digital connectivity, universally fast-paced lifestyles, demand for instant gratification, and smart phone applications permeating every aspect of our lives, the luxury concierge industry is developing ways to enhance the customer experience by integrating traditional services with new, cutting edge technology.To stay relevant, concierge and customer loyalty companies must speed up the pace of innovation and adopt new strategies, while also striking the right balance between dedicated human interaction and digital automation. This “Human + Digital” approach is critical to foster deeper relationships, deliver more personalization, and curate richer experiences for customers – at scale. I’m a fan of convenience. I also understand that there is an expectation and psychology around what you can expect when you find something convenient. But, in those rare places where you find someone more than simple convenience, you often find people who go out of there way to make you feel important. It’s why places and destinations are so pleasant. It’s the moment you are greeted with a smile verses a sign-in sheet and chair. One of the reasons Concierge Medicine will never get old is that Kindness never gets old. 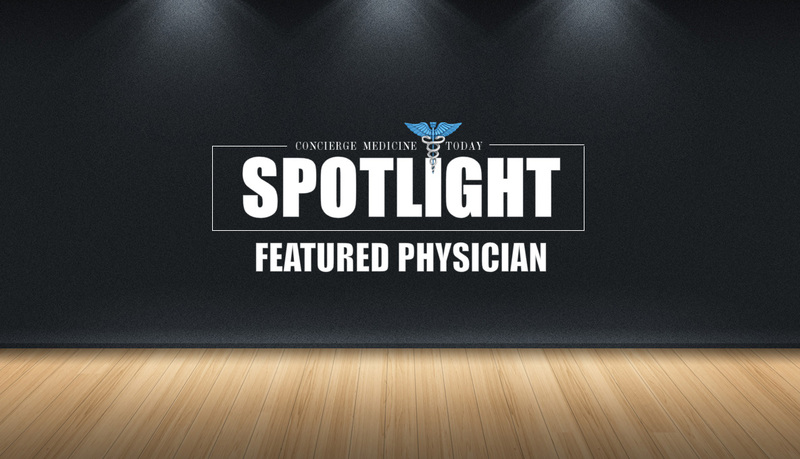 When a patient is front and center to the Physician, there’s more than convenience at play. There’s relationship. I don’t know about you, but I’d like to know more about my Doctor than simply what the degree on the wall says. I don’t always want to be best friends with my Doctor, but this person needs to show us they care. We’re paying customers yet in healthcare, this concept of kindness and respect is often thrown out the window. Over the years, I’ve observed and consulted with Doctors offices, talked to their staff and spoken at their staff training gatherings. There’s always a few in each group who are leaning in or at the front of their chair soaking up the idea of treating each Patient with a smile, dignity and respect. Many still want the doctors office to feel and operate like a convenient store for primary care. That’s okay, but it’s not striving for excellence. 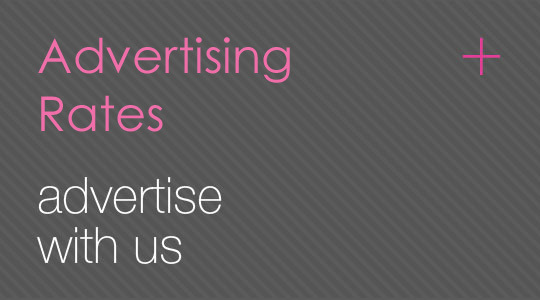 There will always be a need for that and that’s going to serve its audience well. But the fine art of customer service training and bedside manners in being lost in healthcare today. 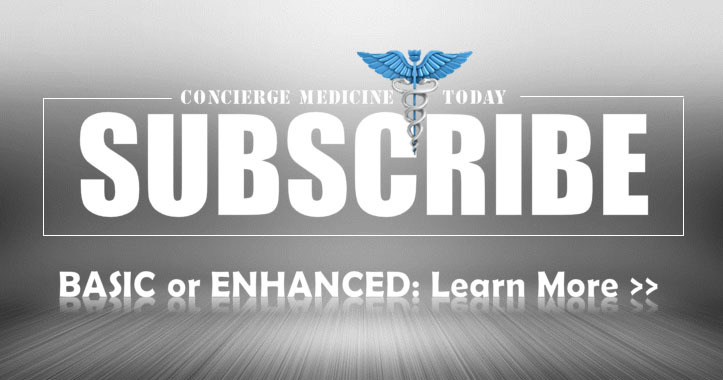 I find as many of our readers do that even today, Concierge Medicine is often misunderstood and ridiculed by some who would rather forget that healthcare has a customer service side of the industry as well. They’d like to distort the mathematics of personalized medicine and tell everyone that a Patient only cares about how much things cost. But, have we ever actually asked thousands of Patients what they think? I know the answer and unfortunately, people are not asking this question. 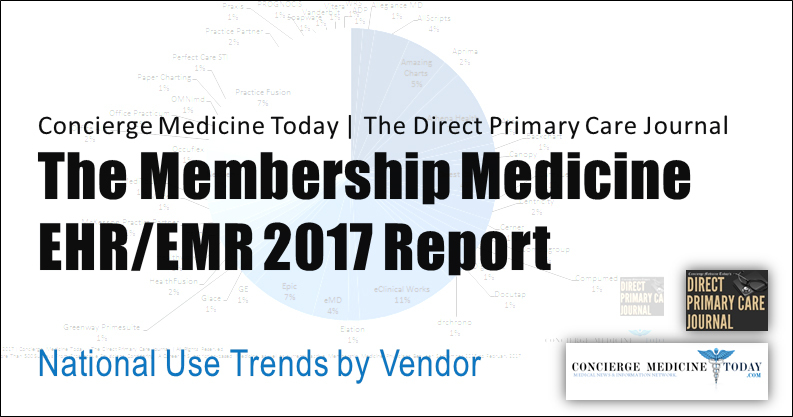 We have and you might be surprised to learn that in a 2018 Concierge Medicine Today survey of active Patients seeking the care of a subscription-based healthcare program inside a Doctor’s office that the Patients out in our communities across the U.S. actually do care more about relationship over cost. After all, we always find a way to “afford” that latest and greatest cell phone don’t we? Here’s another example to contemplate, the moment we pay for a nice hotel room there are expectations of service. When there aren’t enough towels for the pool or the room service order is wrong, we’re promptly to seek correction. Why are we not seeking course correction and expecting exceptional customer service more often in healthcare? Is it because Doctor’s aren’t getting paid for it? Is it because of the status quo? Is it because it is too hard? Or, is it because of learned habits, training in medical school or accountability? Who is holding the staff and the Doctor to a higher standard? The malpractice carrier? The MCO? The hospital? Or, the Patient? INNOVATION defined | noun | a new idea, device, or method. :: the act or process of introducing new ideas, devices, or methods. However, would you like to know a secret about Concierge Medicine? I’ll tell you. They don’t stop innovating where others do. You see when a Doctor stops innovating it’s usually because they are afraid to try and fail. When was the last time a Doctor was celebrated for trying something that didn’t work? I’ve often said “Great Doctors blaze trails for others to follow and then send back maps.” This is the path to discovering what could be and should be in healthcare and that my friend, will never get old. So as a guideline for your next staff training meeting, consider the following topics. They can serve as helpful customer and patient relationship building guidelines for you, your other Physicians in the practice and your staff. What unique ways can your staff at the front desk make guests feel welcome? Have everyone explain in their own words their expectation and what makes a good first impression? Describe appropriate dress for those working in the practice each day? Explain what to say and what not to say to a Patient? Explain how to answer with a unique greeting correctly? Successfully handle unusual situations that you think may arise? Discuss clutter in the office. 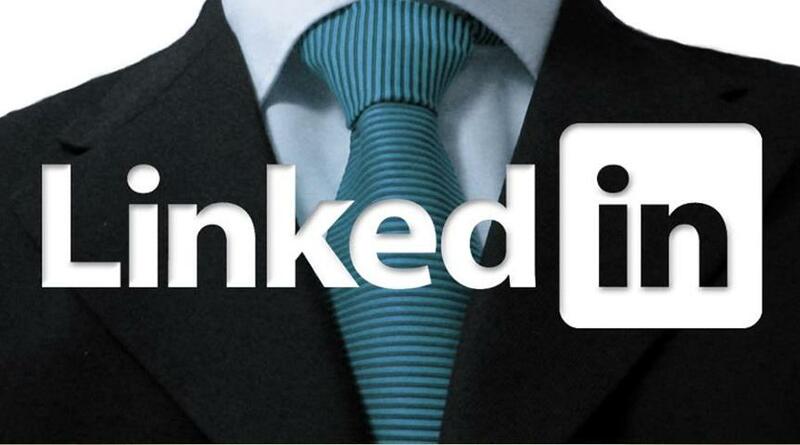 Discuss appointment reminder etiquette and explore ways to make this more friendly. How will your practice manage feedback? Who will make the first and last impression on the Patient and why? Hint: It is more common and appropriated than you might think. Like it or not, the idea of a “Concierge” in medicine is actually a popular one, even in healthcare. I know, some of you are probably wincing at the notion, as healthcare is often known for talking a great game about innovation and change but is usually the last to adopt new ideas. 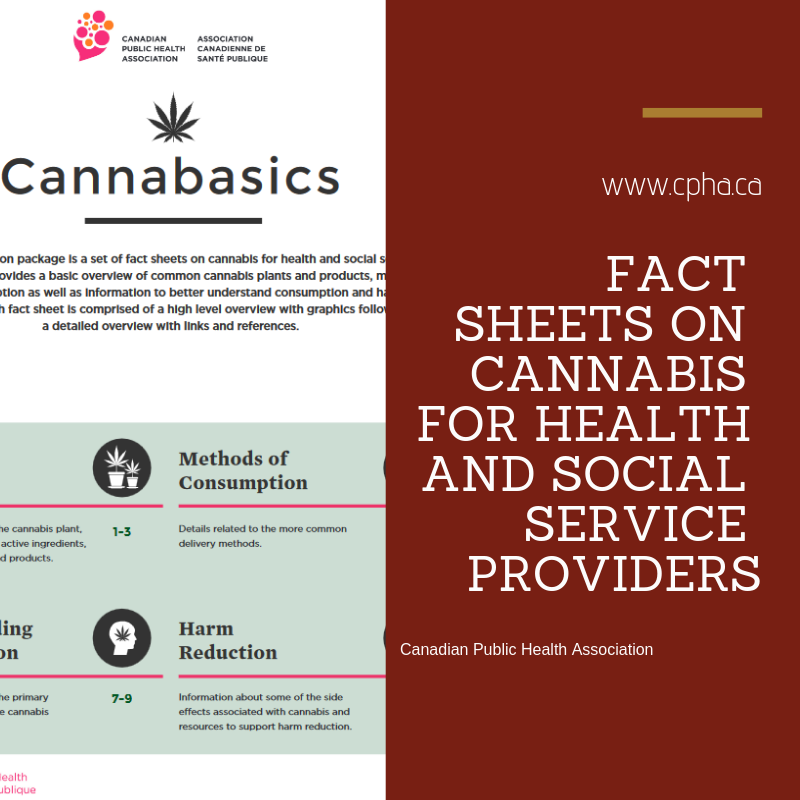 We need not look very far in the world of healthcare to see the discussion around cannabis, cancer research, texting your Doctor, genomics or even precision medicine to realize that a lot of these great ideas have largely been talked about for years, decades in some cases, and just not coming to the forefront of our minds and touted today as revolutionary, game changing and new! Example, Imagine Healthcare, without the Wait by ClockWiseMD. Turn one-time patients into patients for life with online self-scheduling and virtual queue management designed specifically for the healthcare industry. Over 1,300 urgent cares, emergency departments, and more are already using Clockwise.MD to let their patients skip the wait. Are you? Example, Enjoy the convenience of a professional, medical visit at your home, office, or other preferred location. This article from Orion Labs discusses why hotels should consider replacing older communication technologies with push-to-talk and panic bots. If your organization’s Emergency Department (ED) is facing dwindling experience scores you’re in good company. EDs are one of the most strained segments of healthcare today; caught between increasing demands and reduced capacity. Anywhere from 60 to 80 percent of our clients; inpatient populations are admitted through the ED, effectively making it the single largest introduction to their healthcare system. And as they say, first impressions are everything! An ED-focused patient concierge program creates a high-touch, guest-centric waiting room experience. Floating concierges manage patient expectations and the non-clinical needs that reduce overall capacity. 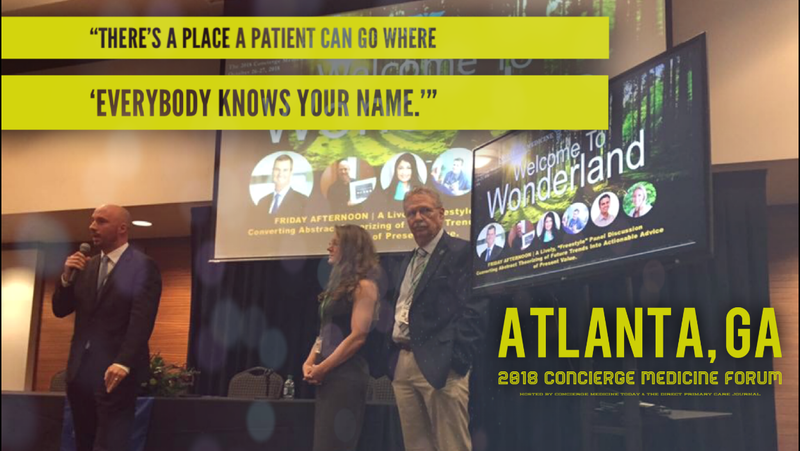 Concierge Medicine is about Doctors that work hard to exceed the expectations of every single person under their care (aka the Patient, consumer, customer, guest, client, VIP, partner, or employee). They’re efficient, responsive, resourceful, knowledgeable and experts at problem solving and excel at relationship building. They use only efficient technology and the latest precision medicine test(s) that create a better relationship between Patient and Physician. They find the latest evidence based medicine insight to make the most qualified decisions and present that evidence to their patient. They have access to some of the best in class specialists and facilities in the world. They realize that a little encouragement on the phone means more than office visit. They welcome, inform, and serve every person who walks or calls their practice. They realize that healthcare is also about the little things and that caring is part of the prescription. They provide a remarkable guest and patient experience for everyone and they understand that experience depends on a number of factors: staff training, communication, accessibility, leadership, signage, facilities, and the overall “feel” of the office or practice. Their goal, in every interaction with every patient is simple: A Concierge Doctor is their to exceed their expectations of hospitality and meet them where they are with a smile and an answer. 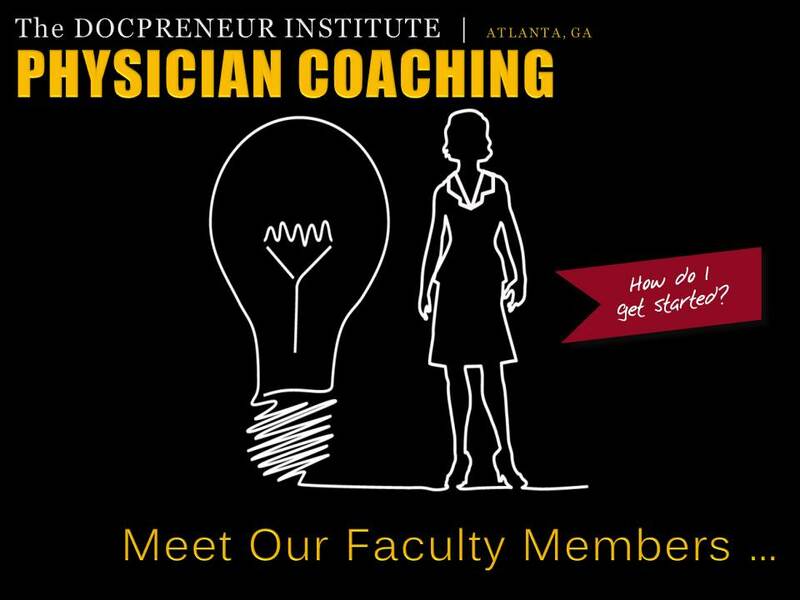 Where are some of the most innovative Concierge Medicine Doctors finding new ideas and learning to innovate? Hint: In some of the most unusual places! 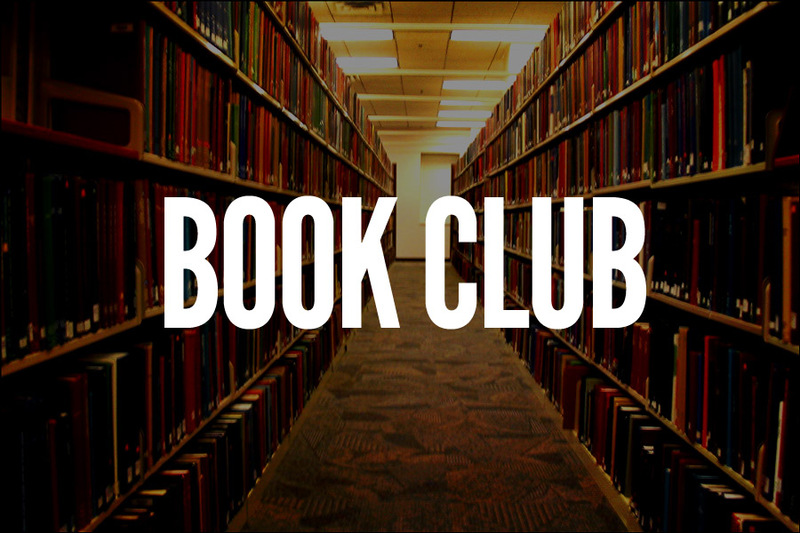 These are just a few resources our readers tell us they consistently reference. 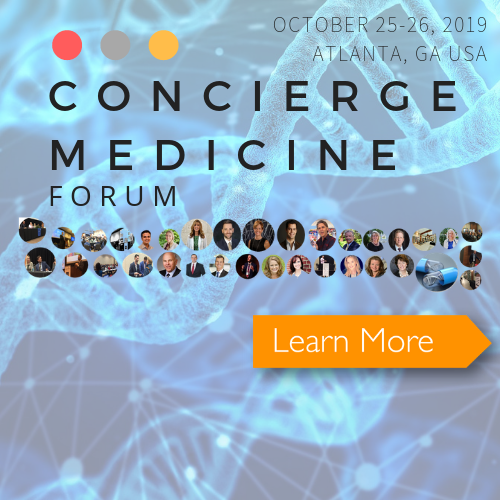 Email us at editor@conciergemedicinetoday.com to tell us what your reading, where you might be learning and what magazines and conferences you’re attending! Innovative Doctors are reading, a lot! 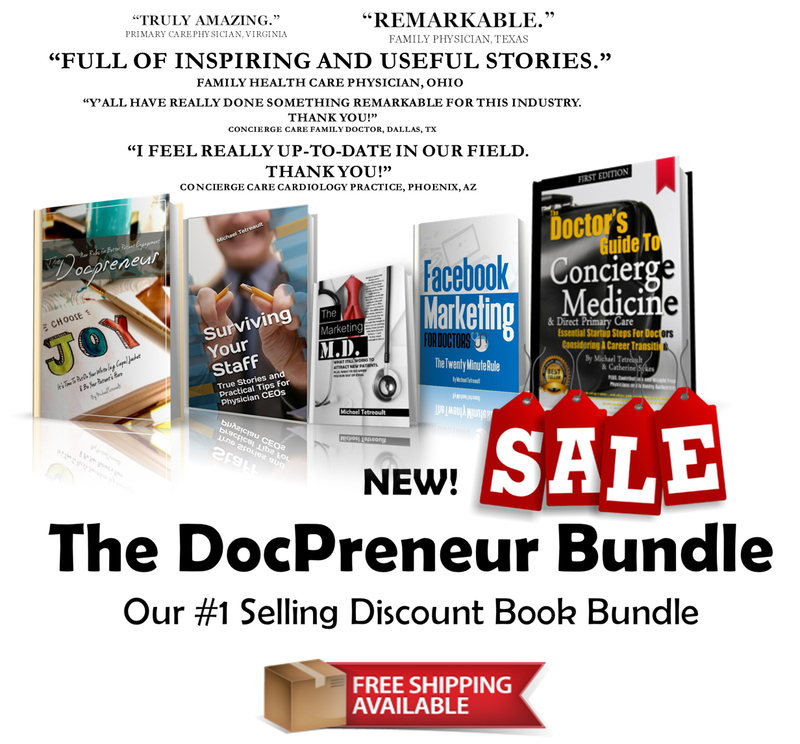 The DocPreneur Podcast – Michael Tetreault is the editor at Concierge Medicine Today and The Direct Primary Care Journal is packed with great info. 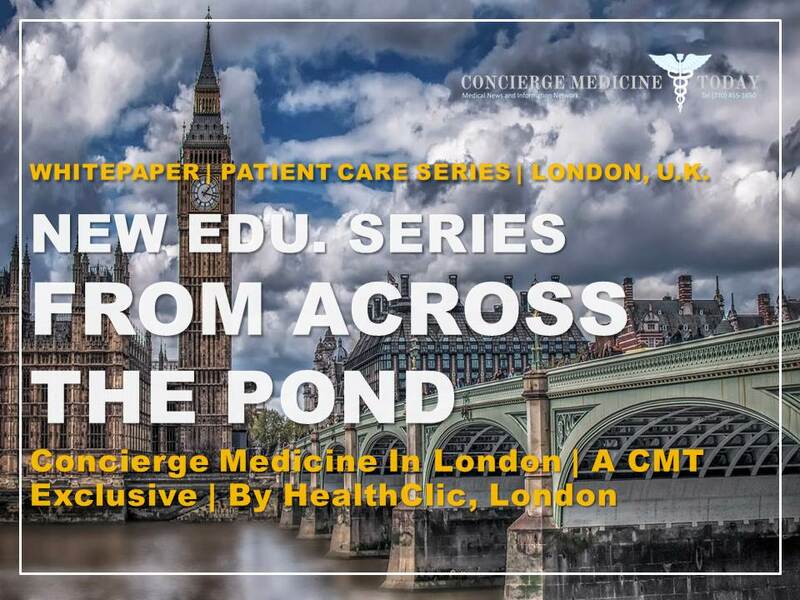 about practice-improvement, the business of medicine, entrepreneurial innovation in healthcare, precision medicine and genomic intelligence and membership and boutique medicine model growth. It also brings news and updates about the healthcare tech industry and boutique medicine industries right to your ears in this one place. Each episode is different and fresh with experienced DocPreneurs and successful experts giving you their insight. This educational podcast has guests like Dr. Kyra Bobinet, Founder of neuroscience firm, engagedIN, Dr. David Karow, CEO of Human Longevity & The Health Nucleus, Richard Nordstrom, Dr. Brandon Colby and many more. HBR Idea Cast – Sarah Green is an editor at the Harvard Business Review and she also interviews major names like Eric Schmidt from Google in her podcasts. This one truly has amazing and educational content. Youpreneur FM – Chris Ducker bares it all with his Youpreneur FM podcast on how to create a personal brand. He is an amazing interviewer that asks the right questions to get the most out of his guests. Entrepreneur on Fire – John Dumas’ Entrepreneur on Fire interviews exceptional entrepreneurs and discusses strategies that can really transform a business or even an enterprise. Marketing Over Coffee – Christopher Penn and John Wall talk about new marketing trends and the latest digital marketing news in their Marketing Over Coffee podcast. What you should analyze, how strategy can improve your sales and other crucial marketing questions are discussed in this show regularly. Stanford Entrepreneurial Thought Leader Series – The Stanford Entrepreneurial Thought Leader Series podcast is different from all of the others on the list. The Leader Series are lectures on entrepreneurship from famous speakers such as Ben Horowitz, Liz Wiseman and many more. We help people turn their business ideas into reality by providing them with the necessary tools, resources, and support network in Detroit. To date, we have graduated over 1400 aspiring and experienced entrepreneurs from our classes, many of whom have gone on to start successful businesses in the city. In addition to classes, we offer networking events, mentorship, connections to resources and a nurturing community that allows ideas to develop and flourish over time. 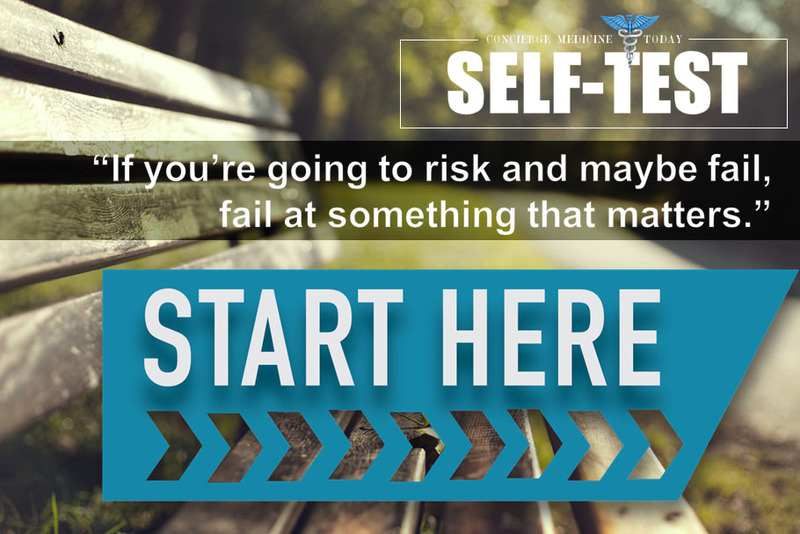 With a little support, a lot of hard work, and a friendly nudge, you’ll be ready to hit the ground running. Remember, success in modern healthcare delivery today and tomorrow will require the implementation of kindness in every detail. From the parking lot to the front desk, your interior clinic design, your clinic culture, your smiling face and even your technology — all of this will help to create a memorable, one-of-a-kind experience for your Patient, consumer, employees and community alike.